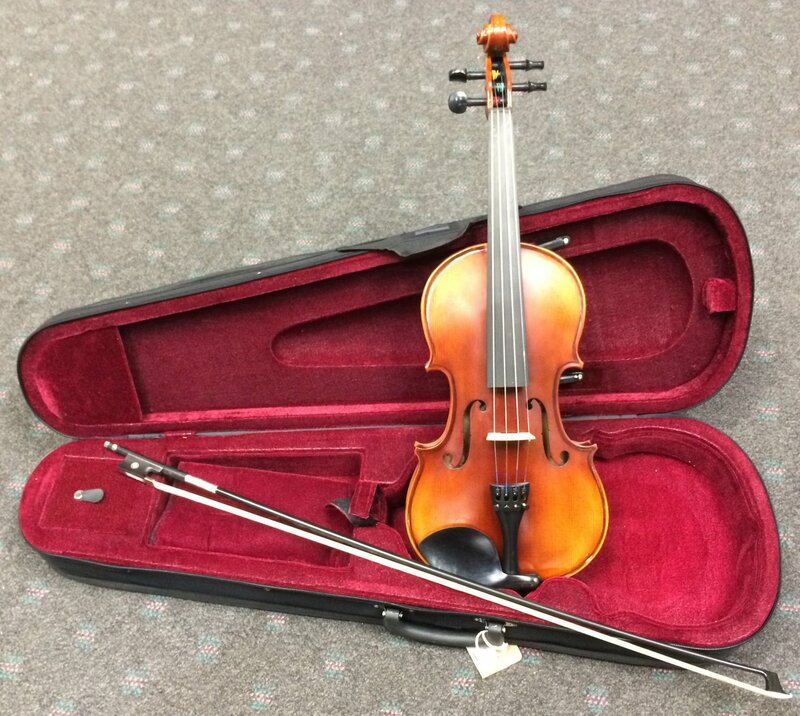 Built to provide an attractive, properly made and adjusted outfit, OldenburgTM Violins even include superior components for superior response and tone. The quality of the OldenburgTM line makes it an excellent choice for budget-conscious players of all ages. Each violin outfit features wood bow with horsehair and shaped case with zippered cover and rosin. • Properly fitted ebony pegs for tuning ease. • Ebony nut and fingerboard for durability and wear resistance. • Properly contoured fingerboard for easy note articulation. • Select, seasoned tonewoods for stability and tone. • Well-fitted maple bridge for superior sound. • Carbon composite tailpiece with built-in tunersfor ease of tuning. Wood bow with horsehair and rosin. Quality D’Addario Prelude steel core strings.